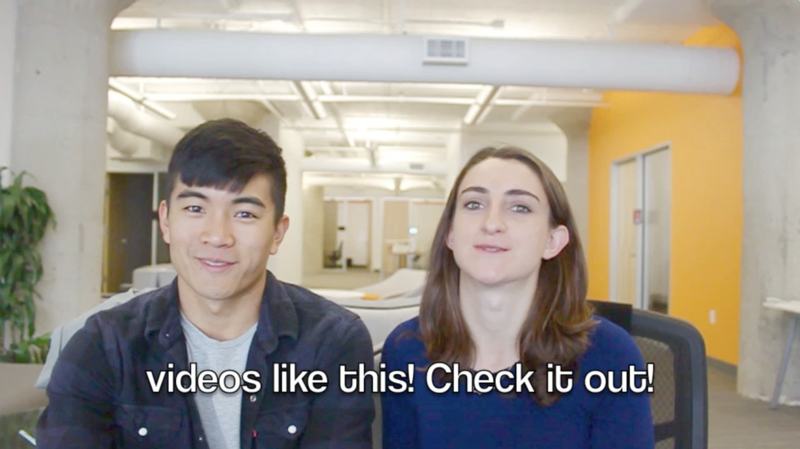 Three weeks ago, we launched a Video Subtitle Maker on Kapwing, our online video editing website. When we announced the new feature on HackerNews, several people asked us why our tool was any different than the existing software options. This post explains why we build the Video Subtitle Maker and why you should use it to add captions to your videos. We decided to build the Video Subtitle Maker after posting a promo video on Product Hunt for our Trendy Sound Effects launch. 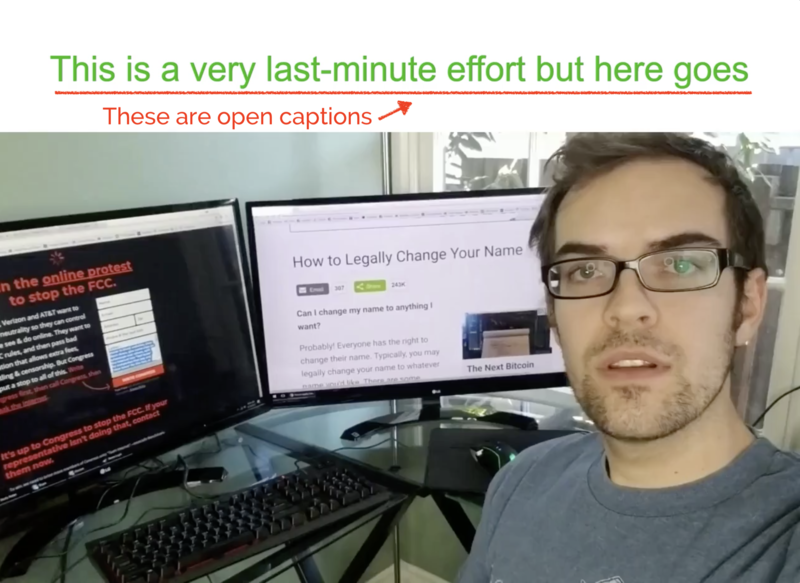 Eric knew that many Product Hunt readers check the site with their volume off, so it was important to add subtitles to engage potential upvoters and users. He tried using iMovie, but found the subtitle tool infuriatingly difficult to use. It took half an afternoon to subtitle the short video. Meanwhile, I scanned Twitter and chatted with current users about the tools they used to add subtitles to video. Many creators echoed Eric’s frustration: it took them hours to add subtitles, even if they were iMovie or Adobe masters. Some said they didn’t add subtitles at all because they didn’t know how and didn’t have the money to pay a video editor for help. So we built the tool we needed ourselves, and the Video Subtitle Maker was born. Online: Kapwing is a website, not an app or a software package that you need to download. Kapwing won’t make your computer hot or take up CPU from other programs since all video processing is done in the cloud. It works on every device, mobile and desktop, Windows and Mac, Chromebooks and feature phones, and you won’t get sketchy malware by downloading executable apps from the web. Vs technologies you need to download: iMoive, Camtasia, Windows Movie Maker, Moavi, VirtualDub, VLC Player, Video Converter Factory, Adobe, and about a thousand other free and paid solutions require you to install and run a program on your computer. 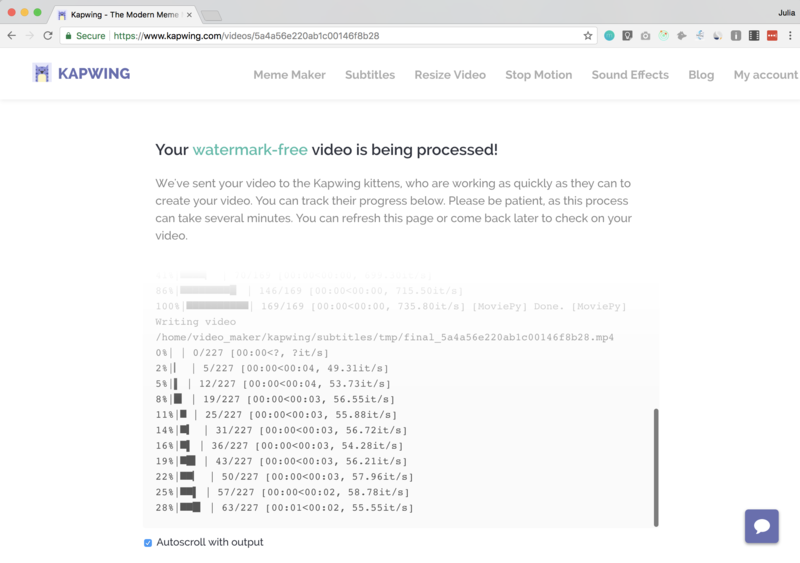 Do it yourself: Kapwing enables you to make your subtitles yourself without needing to hire an agency or consultant or trust an auto-transcriber. DIY is cheaper and gives video makers more creative control. Vs Companies that offer subtitling services: 3PlayOptions, Voicr, and thousands of other firms offer subtitling as a service. 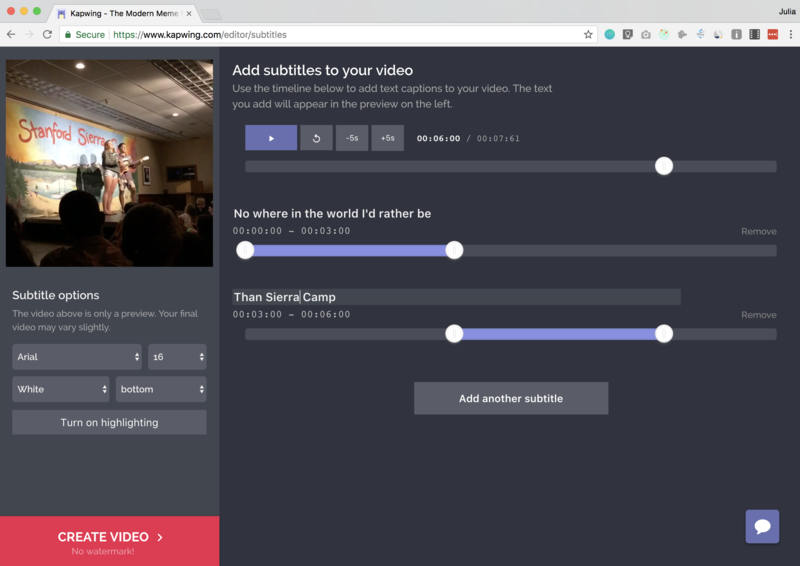 Open captions: Kapwing lets you burn subtitles directly into your video so that you can download the subtitled video and share or publish it across platforms. Open captions gives creators more control over how the styling of the subtitles since they’re the same on every platform, for every viewer. Your videos will have a consistent look with subtitles always on, and you’ll save time because you won’t have to redo captions repeatedly or use multiple tools to add the subtitles to your video. Vs platforms with closed captions or custom viewers: YouTube, Facebook, and other video hosting sites have closed captioning on their videos, but you can’t download the captions to share on other platforms. Amara and other sites that let you make SRT files don’t add the subtitles directly. Designed for beginners and one-offs: With Kapwing, you don’t have to know what an SRT file is to add text to your video. You can preview your subtitled video in real time with an editor that you don’t need technical training to use. It’s fast, direct, and obvious for when you just need to get a subtitling job done. Free to use: Kapwing takes you straight to the subtitle editor, no sign in or payment required. Both free and premium users can access all of our features and download the output directly. Our goal at Kapwing is to make video editing fast, accessible, and modern. 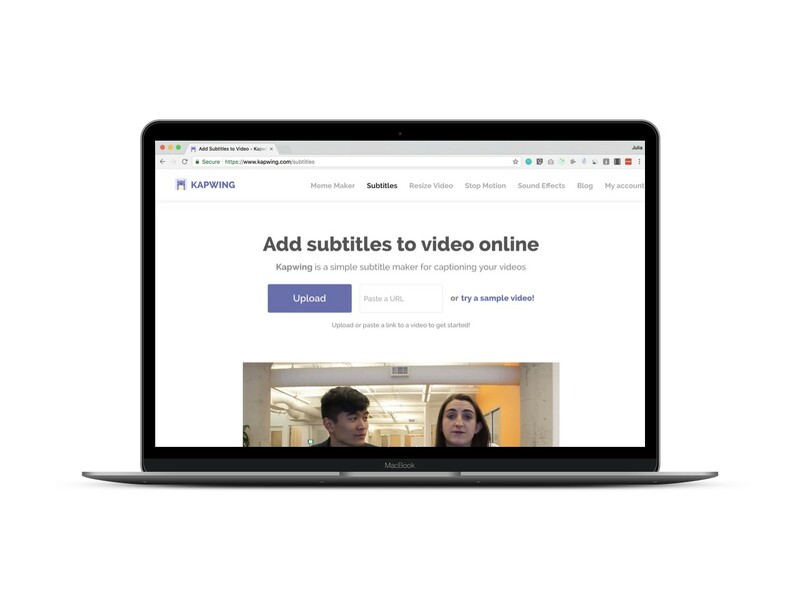 As video popularity grows, subtitling is increasingly important, so we think the Video Subtitle Maker is an essential tool in the Kapwing toolbox for shortform video. Check it out and let me know what you think; looking forward to seeing the subtitles roll in. A user recently made a video with 78 subtitles!